Marija and I had a relatively early start on Monday morning 9th November 2015. We had two planned park activations that day. 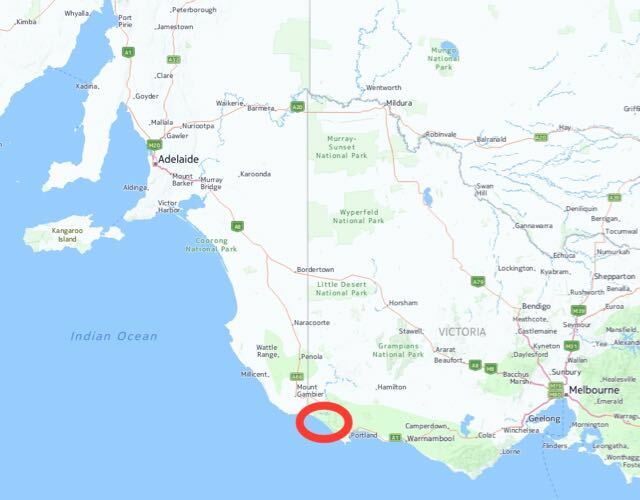 The first activation was to be the Discovery Bay Coastal Park VKFF-0746, which is about 490 km south east of Adelaide and about 420 km north west of Melbourne. Our destination that day was Portland in Victoria, about a 200 km drive from Narracoorte. We were planning on staying in Portland for 2 nights. After breakfast we left Peter and Aine’s house at Narracoorte. Thanks to Peter and Aine for their hospitality. It was great to catch up. And no hangover, which was terrific. We headed south on the Riddoch Highway, passing a number of parks including Hacks Lagoon Conservation Park and Glen Roy Conservation Park. We made a short stop at the Father Woods Park about 21 km north of Penola. The park is the home to a series of seven sculptures depicting the life of Father Julian Tenison Woods and Saint Mary of the Cross Mackillop. There is also a large red gum tree here. It was under this tree that Father Woods often meditated and prepared sermons. The sculptures are really quite amazing and are well worth stopping to have a look at. In 2010, chainsaw sculptor Kevin Gilders transformed pine tree trunks into a series of sculptures depicting Woods as a bush priest, good citizen, scientist and explorer, found and educator. We continued on to Nangwarry where we took a short toilet break. Nangwarry is a little town in the South East which is in the heart of logging and forestry country. 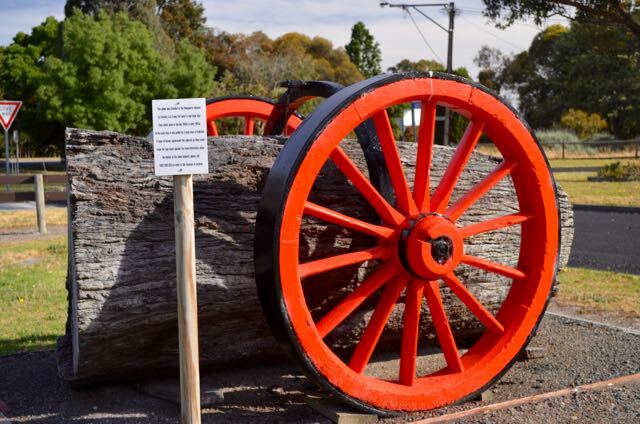 We both wished we had more time because there is a Foresty and Logging Museum here which includes a collection of old logging machinery, including the first ever log harvester in the south-east of South Australia. There is however an old timber jinker on display out the front. It was first used to haul large logs from forest areas in the late 1800s and early 1900s. In the early days it was pulled by a large team of bullocks. A team of horses superseded the bullocks as they could move the logs much quicker. After leaving we continued down the Riddoch Highway until we reached Mount Gambier, which is the second most populous city in South Australia. Marija had never been here before so we headed for the amazing Blue Lake, which is a large monomictic crater lake which often displays amazing colours. During December to March the lake turns to a vibrant cobalt blue colour, returning to a colder steel grey colour for April to November. After a bit of touristy duties, we headed to the home of Col VK5HCF and his wife for a cup of coffee. It was great to catch up with Col who is a very active ham down in the South East, and loves his park activating and hunting. After leaving Col’s house we drove south east on the Glenelg River Road, through Caveton, and then Wye, before reaching the South Australian/Victorian border. There is an interpretive sign here which explains all about the survey of the South Australian/Victoria border. The border has a very interesting history. It was marked from the shores of the nearby Southern Ocean to the south bank of the River Murray between 1857 and 1850. Due to human error by numerous explorers and surveyors, it took more than 75 years and a protracted legal battle, before the precise placement of the border was settled. This resulted in the forfeiture of more than 1,300 km2 of land from South Australia to Victoria. In 1914, after a successfuly appeal to the Judicial Committee of the Privy Council in the United Kingdom, a sum of 215,000 pounds was awarded to the State of South Australia. A tidy some of money, and the legal dispute was concluded. 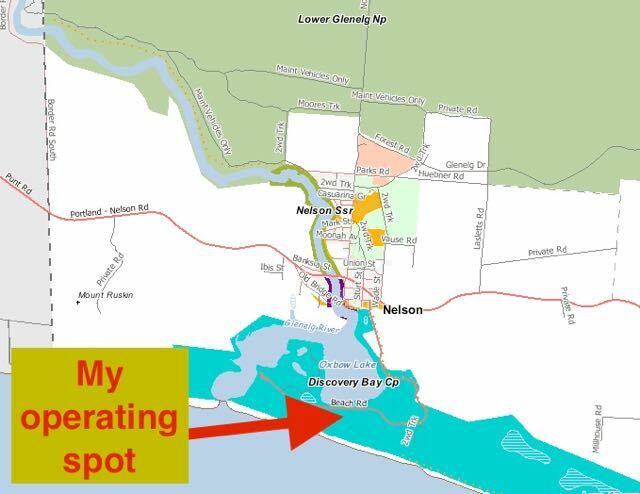 After crossing over the Victorian/South Australian border we soon reached the little town of Nelson which is situated on the Glenelg River, just 2 kms from the River mouth. The town is only tiny, with a population of around 250 people. In January 1852, the town took its name from the ship, the Lady Nelson, which was used by Lieutenant James GRANT in explorations of the area during the early 19th century. We then took Beach Road and headed towards Discovery Bay Coastal Park. This road is bitumen and takes you along the southern shore of Oxbow Lake and down to the mouth of the Glenelg River. The park takes its name from the adjacent Discovery Bay which was named by Lieutenant GRANT in 1800 during a voyage along the unknown south western Victorian coast. 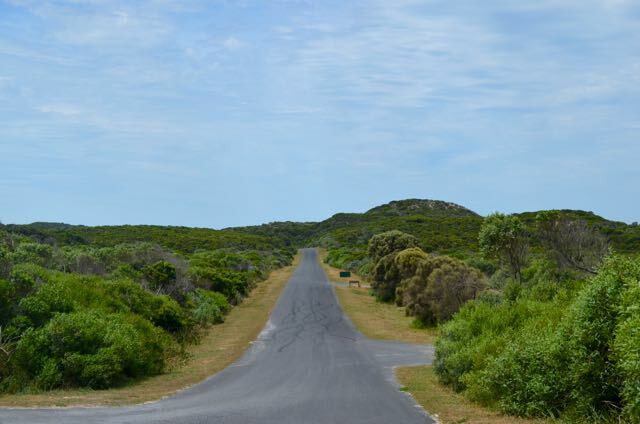 The park is 10,615 hectares in size and protects 55 km of ocean beach in the South West of Victoria between Portland and Nelson adjoining the South Australian border. Inland, the park encompasses high coastal cliffs, large rolling sand dunes and a number of freshwater lakes and swamps. Some of the popular areas in the park are the seal colony viewing platform, Swan Lake, Tarragal Caves, and Lake Monibeong. 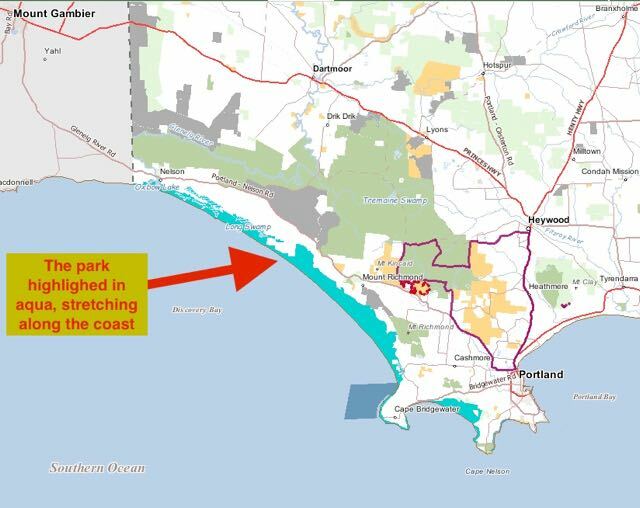 Above:- Map showing the park, stretching along the south western Victoria coastline. Image courtesy of Forest Explorer. Since the arrival of Lieutenant GRANT, the coastal plants of Discovery Bay have altered significantly. Many of the dunes in the park no longer support any vegetation. Plants typical of coastal heathlands include Coast Wattle, Coast Beard-heath and Correa. Away from the dune areas, the plant and animal communities are quite complex. At Long Swamp there are several plant species of high conservation value, including heaths, dense paperbark thickets and both a pink and yellow flowering form of a variety of Yellow Gum (Eucalyptus leucoxylon var. macrocarpa) that occurs nowhere else in the State. The park contains a large amount of native animals including Eastern Grey Kangaroos, Red-necked wallabies, Brush-tailed possums, koalas, and echidnas. The park provides important habitat for the endangered Hooded Plover and numerous other wading migratory birds from overseas. Other birds in the park include Spoonbills, various ducks, Herons, pelicans, and swans. There are a few interpretive signs to view here. One commemorates the fact that Major Mitchell landed here on 20th August 1836, having explored the Glenelg River by boat from Dartmoor. He was hoping to find a deep sea port, but was disapointed by the very shallow estuary, and returned to Dartmoor by river to continue his expediton through Victoria. There is also some information on the Perseverance and the Triumph. The SS Perseverance (1890-1898) was wrecked on the sandbar at the mouth of the Glenelg River whilst attempting a voyage from Nelson to the River Murray in South Australia. The Triumph (1840-1863) was a Western Australian built schooner which disappeared whilst on a voyage from Port MacDonnell to Port Adelaide. The remains of the vessel were later found cast ashore at Discovery Bay. There were no survivors. The Great South West Walk also passes through the park. The walk has been developed as a bushwalking trail suitable for most ages and abilities, and comprises short 2 hour loop walks, full day walks, or for the very keen, an entire 250 km loop which commences and concluded at the Maritime Discovery and Visitor Information Centre in Portland, Victoria. We drove to the carpark towards the end of Beach Road and as it was a warm day I sheltered behind a sign near the commencement of the Livingstone Island Nature Walk. For this activation I ran the Yaesu FT-857d, 40 watts, and the 20m/30m linked dipole, supported on the 7 metre telescopic squid pole. As it was a nice warn sunny day, out came the solar panels to charge up the battery. Above:- Map showing my operating spot. Image courtesy of Forest Explorer. I started calling CQ on 7.144 and was rather cautious after propagation on the band the day before whilst at Peebinga Conservation Park. Conditions then were very very difficult and I did not reach the 44 QSO threshold for WWFF. So I was sincerely hoping that the conditions had improved for this activation. It wasn’t long before I had my first contact in the log. It was Brett VK3FLCS who was very low down (4/1) but quite readable. Brett gave me a 3/3. Oh no. Band conditions seemed poor again. This was not a good start. Next up was Adrian VK5FANA on the Yorke Peninusla with a fair signal (5/5 both ways). But at least Adrian was able to hear me, and with the completely noise free environment of the park, Adrian was an ‘armchair’ copy. My third caller nearly lifted the radio off the table. It was Peter VK2NEO neer Leeton in New South Wales with a very strong 5/9 signal. After a chat with Peter, Andy VK5AKH called in, running his remote station whilst at Barmera in the Riverland region of South Australia. Andy had a terrific 5/9 signal as well. It was quite a windy morning, and whilst having a chat to Dennis VK2HHA, my seventh contact, the suid pole de-telescoped on me. This doesn’t happen all that often. I think I was pretty keen to get on air and had not secured the squid pole sufficiently. I made some running repairs and came back to Dennis, apologising profusely, assuring him I hadn’t stopped talking to him by choice. I went on to work a further 7 stations in VK2, VK3, and VK5. But it was very slow going. The 40m band was still not in great shape, and a weekday ensured that there was not going to be any pileup. Rick VK4RF tried a number of times to get through to me on 40m but we just couldn’t quite make it. So I decided to try 20m and see if the conditions there were any better. I headed to 14.310 and asked if the frequency was in use and this was immediately answered by Rick VK4RF. Although not his normal booming 5/9 signal, Rick still had a good 5/5 signal into Discovery Bay. He reciprocated with a 5/5-7 signal report for me. Next up was my mate Gerald Vk2HBG who was a good strong 5/8 from Newcastle, followed by Gerard VK2IO mobile with a good 5/7 copy. My fith and final taker on 20m was Robert VK2XXM (5/3 both ways). Despite a number of CQ calls there were no more takers. It appeared that this was another park where I was not going to get 44 contacts. Although I had qualified the park for the Australian (VKFF) program, as I now had 19 QSOs in the log. I headed back to 7.144 and called CQ and this was answered by Col VK5HCF who was mobile at the Blue Lake in Mount Gambier. This was followed by Mick VK3PMG from Stawell whose signal was well down compared to normal. I worked a further 5 stations on 40m from VK2, VK3, and VK5. But despite many CQ calls, there were no more takers. I had a total of 26 contacts in the log. Heritage Victoria, 2015, Shipwreck Trail on Victoria’s West Coast. Sisters of St Joseph of the Sacred Heart, 2015, <http://www.marymackilloppenola.org.au/memorialpark/dsp-default.cfm?loadref=147&gt;, viewed 26th November 2015. Wikipedia, 2015, <https://en.wikipedia.org/wiki/South_Australia%E2%80%93Victoria_border_dispute&gt;, viewed 26th November 2015. Our one and only activation for Sunday 8th November 2015 was the Peebinga Conservation Park, VKFF-0830, which is situated about 240 km east of Adelaide and just 10 km west of the Victorian border. Above:- Map showing the location of the park. Image courtesy of Property Location Browser. After leaving the motel early on Sunday morning, we headed back to the Renmark Hospital to catch up with Larry VK5LY. We spent a short time there and then had a quick look around Renmark, before heading out of town. We travelled out of Renmark on the Sturt Highway passing the Murray River National Park and into the town of Berri. We then headed south on the Bookpurnong Road, travelling over the bridge over the mighty Murray River. We continued on to Loxton and south on Browns Well Highway through the little towns of Paruna and Kringin. We soon reached the area of Peebinga and the intersection of the Browns Well Highway, Kringin Road and Ziersch Road. There is a clearly visible Conservation Park sign here on the north eastern corner of the park. Peebinga Conservation Park is about 8,401 acres in size, and was originally known as the Peebinga Flora and Fauna Reserve. It was proclaimed as a Conservation Park in 1977. The land conserved within Peebinga was originally subject to farming. Peebinga was set aside to conserve the habitat of the rare Western Whipbird. 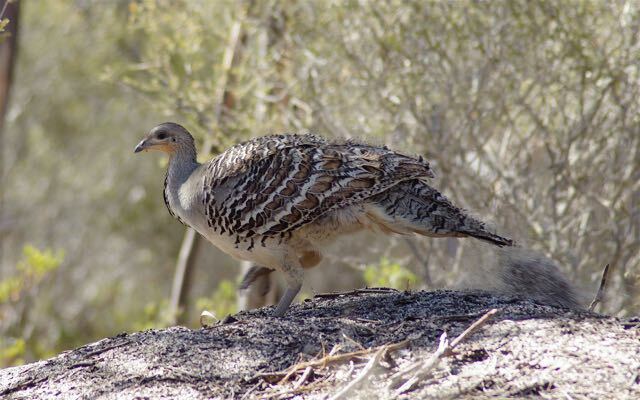 The park has also been identified by BirdLife International as an Importnant Bird Area as it supports a relatively large population of Malleefowl. The park is characterised by grassland, low stablised dunes with oper scub cover featuring Ridge-fruited and Slender-leaved Mallee with Warty Cypress over Broom Bush. The higher areas in the park have Square-fruited, Red and White Mallees. A total of 150 native flora species have been recorded in Peebinga Conservation Park, including 14 of conservation significance. The park contains a wife variety of wildlife including Western Grey kangaroos and Echidnas. We drove up to the southern boundary of the park on Browns Well Highway looking for a clearing in the mallee vegetation. There were no obvious operating spots, so we drove back towards Kringin Road and found a small clearing in the scrub. In hindsight, some other options should you decide to activate this park, are to travel down Kringin Road to the little area of Kringin where a dirt track runs off Kringin Road to the south, through the park. Or continue down to Conservation Road which runs south off Kringin Road, cutting through the park. This is opposite the property called ‘Mootatunga’. Above:- Map showing our operating spot in the park. Image courtesy of Property Location Browser. We were set up and ready to go by 2320 UTC (8.50 a.m. South Australian time). I could not get onto my nominated operating frequency of 7.144 due to the New South Wales WIA broadcast on 7.146, so I started calling CQ on 7.140. The first park hunter of the morning was Gary VK2FABE who was very weak but very readable from Cowra in New South Wales (5/1 sent and 5/3 received). I decided to vacate this area of the 40m band due to the various Sunday morning WIA broadcasts and I headed down to 7.090. On the way I had a listen on 7.135 for the South Australian WIA broadcast and I could barely hear Hans VK5YX, the WIA relay station. This was not a good sign. Clearly the close in propagation was not working on 40m. Upon reaching 7.090 I asked if the frequency was in use and my query was immediately answered by Ray VK3NBL in Melbourne (5/7 sent and 5/5 received). Next up was Scott VK7NWT who was 5/7 from Sisters Beach in Tasmania (5/2 received). Peter VK3PF then called in (5/7 sent and 5/5 received). Things were not looking good. Signals were well down. It was not looking promising on reaching my required 44 contacts. My fifth contact was with Mike VK3XL who was operating portable from the Alpine National Park, VKFF-0619. Mike had a nice 5/7 signal and gave me a 5/8. A few calls later I spoke with Tony VK3CAT who was activating SOTA summit Mount Little Joe, VK3/ VC-027 (5/5 both ways). This was followed by another SOTA contact, this time with Marc VK3OHM who was activating SOTA peak Mount Macedon, VK3/ VC-007 (5/5 sent and 5/6 received). I worked a total of 16 stations on 7.090, all of whom had QSB on their signals and were reporting QSB on my signal. I also heard Rick VK4RF calling me on a few occasions but he was very very low down and clearly could not hear me. The Western Australia WIA broadcast had now started up on 7.088 and was causing me some grief, so I decided to QSY to 20m to try my luck there. I called CQ on 14.310 and this was answered by Rick VK4RF, this time with a nice strong 5/9 signal. This was followed by calls from Brett VK2VW, John VK6NU (4/1 both ways), Rober VK2XXM, Greg VK8GM from Alice Springs, and then Peter VK4ACO. I called CQ many many times after my QSO with Peter, but sadly there were no more takers. I tuned across the 20m band to see what was happening, and I did not hear a single signal. 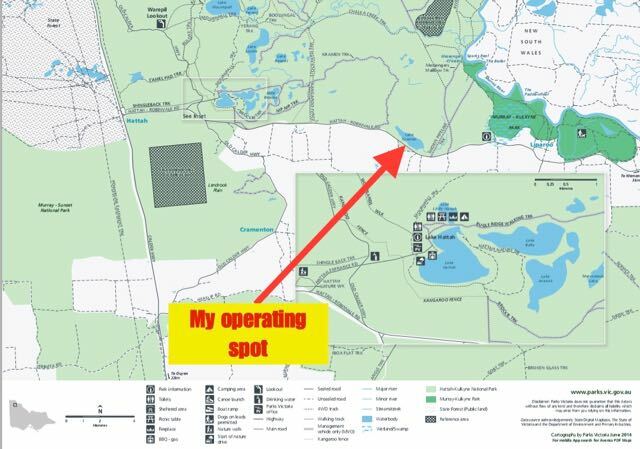 Unfortunately we had no mobile phone coverage with either Telstra or Optus, so I was not able to send out an SMS or spot myself on parksnpeaks. I now had 25 contacts in the log and was well short of my required 44, so I headed back to 40m and found Brenton VK3CM on 7.090 testing a transceiver. I gave Brenton a call and we had a good QSO, despite the fact that signal strengths were well down (5/1 both ways). Brenton kindly gave me the frequency and I went on to work Mark VK7FMPR in Tasmania, Col VK3LED, and Mike VK3AY. But signals were down and there were no further takers. I tuned across the 40m band to gauge conditions and the only signal I heard was Aub VK3Q speaking with another VK3 (who was inaudible) on 7.120. I headed back to 7.090 and called CQ again and this was answered by Dennis VK2HHA who informed me that he had tried listening for me on 20m but could not hear me. I only managed three more contacts on 40, before the heat, the flies and the poor band conditions had got the better of me. I had fallen short of the required 44 contacts, with just 32 QSOs in the log. I will have to head back to Peebinga another time. Not far down the road from the park we discovered two feral goats grazing in a paddock on the fringe of the park. Goat control programs have been implemented within the parks in the area in the past, to try to reduce numbers. We continued on the Browns Well Highway and stopped briefly to look at two monuments at Yarrahville, which once had a Methodist church and a school. Nothing remains of these buildings today. The land out here was very dry with occasional irrigation of crops. It is quite a remote location. We then reached the town of Pinnaroo and then travelled south on the Ngarkat Highway, eventually passing through the very vast Ngarkat Conservation Park, which I had activated a few weeks earlier. Just after leaving Ngarkat we saw two ambulances and a few CFS applicances heading north. A check on Marija’s iphone revealed that there had been a light aircraft incident at an area called McCallum on the southern outskirts of Ngarkat. We didn’t see anything on the news that night, so we can only presume that the outcome was a possitive one. We then reached Cannawigara and the intersection with the Dukes Highway. It was here that we travelled south east to Bordertown and then travelled south on the Bordertown-Narracoorte Road and then the Riddoch Highway which took us into Narracoorte. We were to stay with friends that night at Narracoorte. Prior to heading to our friends house, we visited the Narracoorte Caves National Park. I have activated this park a few times previously, so this was just a tourist stop. We paid a visit to the Wonambi Fossil Centre and the Wet Cave. If you are in Narracoorte, I highly recommend a visit here. Narracoorte Caves is South Australia’s only World Heritage site and was officially recognised in 1994 due to the importance of the fossils found at the site. After visiting the caves, we headed to our friends house, Peter & Aine, where we enjoyed a very enjoyable evening. And even better, no hangover in the morning! Mallee Bound, 2015, <http://www.malleebound.com.au/html/peebinga-conservation-park.html&gt;, viewed 22nd November 2015. My very first portable activation for our trip away was the Billiatt Conservation Park, VKFF-0821, which is located about 200 km east of Adelaide, 18 km south of Alawoona and about 37km north of Lameroo. Although I had previously activated Billiatt in 2013, this was prior to the park qualifying for the World Wide Flora Fauna (WWFF) program. So this was going to be a unique park for me for WWFF/VKFF. Above:- Map showing the location of Billiatt. Image courtesy of Property Location Browser. We made a relatively early start from home and were on the road by 6.30 a.m. South Australian local time with the Toyota hi Lux packed to the brim for our 2 week trip. We headed out along the South Eastern Freeway, passing Murray Bridge and over the Swanport Bridge and the mighty Murray River. We continued on to Tailem Bend and then travelled north east out along the Kulde Road (Karoonda Road), passing through the little town of Naturi. We then took the Karoonda Highway and travelled through Wynarka, Wingamin, Karoonda, Borrika, Sandalwood, Halidon, Mindarie, Wanbi, and then Alawoona. We stopped briefly at Wynarka as there is a little commemorative plaque for Methodist Minister, Rev John Blacket who conducted the first service in the area back in 1911. Sadly, Wynarka has been in the national news of recent times, with the discovery of a young girls remains on the side of the road in a suitcase. We continued on to Karoonda (aboriginal word meaning ‘winter camp’), the major town in the area, and then made a brief stop at another historical marker, this time at the little rural locality of Lowaldie on the north eastern side of Karoonda. Lowaldie once contained a number of buildings, including a school, but this closed in 1940. Today there is very little in the area. We then briefly stopped a bit further up the road to view the historical marker for Goyders Line. What is Goyders Line? 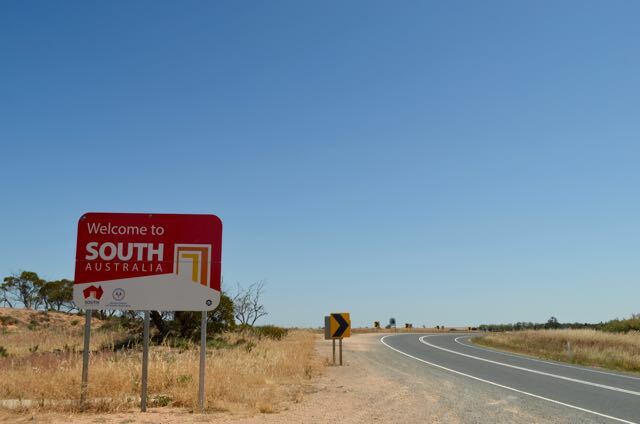 It is a boundary line which runs across South Australia and is corresponding to a rainfall boundary believed to indicate the edge of the area suitable for agriculture. Basically, anything north of Goyders Line, the rainfall is not reliable enough and the land is only suitable for grazing and not cropping. We then reached Alawoona, a little town with a population of around 250 people. Don’t blink. There isn’t much here. We then drove south on Billiatt Road and soon encountered a sign for the vulnerable Malleefowl, which is a stocky ground-dwelling bird, which is about the size of a domestic chicken. Malleefowl are shy, wary and solitary birds. I have seen these birds, but only once. This was in the Mount Boothby Conservation Park. Unlike other birds, Mallefowl do not spend weeks sitting on eggs in a nest. Rather, theMallefowl eggs are buried in a sand and compost mound that produces enough heat to incubate the eggs. The mound is normally around one metre high and about three metres wide. For more information on the Malleefowl, have a look at the National Malleefowl Recovery Team website at….. Above: Mallefowl. Image courtesy of wikipedia. After travelling about 18 km south of Alawoona, we reached the park. There are no visitor facilities available in the park, which is quite remote and very vast. There is no vehicular access to the park. Above:- Map of the park. Image courtesy of Property Location Browser. Billiatt conserves some of the largest remnant stands of pristine mallee heath and shrubland habitat in South Australia. It is characterised by sand dunes with a mosiac of open mallee scrub. Ridge-fruited and red tipped slender leaf mallees add colour to the dunes with broombush growing in the mottled shade. A total of 208 native flora species have been recorded in Billiatt. The significant ecological value of this area was first formally recognised back in 1940, when the Billiatt and Peebinga Flora and Fauna Reserves were dedicated. In 1979, following the acquisition of additional land, the Billiatt Conservation Park was formally proclaimed. In more recent times the majority of Billiatt Conservation Park was recommended for protection under the Wilderness Protection Act 1992, and the Billiatt Wilderness Protection Area was proclaimed on 24th July 2008, with a small area remaining as Billiatt Conservation Park. This is a very big park. The Conservation Park area is about 802 hectares in size (1,980 acres), whilst the Wilderness Protection Area is about 59,125 hectares (146,101 acres) in size. A total of 93 fauna species have been recorded with Billiatt. Native mammals recorded in Billiatt include the Common Dunnart, Mitchell’s Hopping Mouse, and the Western Grey Kangaroo. A large variety of birds are also found here including the Striated Grass-wren, Purple-gaped honeyeater, Western whipbird, Red-lored whistler, Regent Parrot and Mallee Emu-wren, all of whose numbers are in decline. About 18 species of reptile inhabit the park. There were some attempts to farm the land in this are between the 1870’s and the 1930’s. However the land remained largely uncleared. Some old signs of early pastoral activity still exist, including old wells, bores and ruins. The Pankina Well and ruins in the Billiatt Wilderness Protection Area are remnants of Pankina Station, which was a pastoral lease which existed over the land right up until 1979. In early 2014, South Australia and Victoria experienced devastating bushfires. Billiatt felt the full force of one such fire. Just after 6.00 p.m. on the 14th January, fires ignited in the Margaret Dowling campsite in the park. The park was completely engulfed and the fire wiped out entire populations of threatened native birds. Over 67,000 hectares were burnt. It wasn’t until 9 days later, on 23rd January, that the fire was declared safe. For more information on the Billiatt fire, please see my previous post…. The change in the vegetation was very noticeable to Marija and I. The park was certainly still in recovery mode. I was set up and ready to go by 2320 UTC (7.50 a.m. South Australian local time). I headed to my nominated operating frequency of 7.144 and asked if the frequency was in use and this was answered by a couple of stations who were already there waiting for me. First up was Mick VK3PMG in Stawell in western Victoria with a strong 5/9 signal. This was followed by Adrian VK5FANA on the Yorke Peninsula, who was also 5/9, and then Dennis VK2HHA, again 5/9. Dennis has become a regular park hunter. The 40m band was in very good condition and I did not have to call CQ after the first caller, with a constant flow of callers from VK1, VK2, VK3, VK4, VK5, and VK7. I had 20 contacts in the log in the first 20 minutes of the activation. A number of the regular park hunters were in there, but it was very pleasing to see a number of new call signs also appear in my log. Some of the South East guys called in whilst performing duties at the car racing event, the Legend of the Lakes Hillclimb. This included Greg VK5ZGY and Tom VK5EE, both of whom had fine signals from their mobile/portable set ups. I also worked a number of other mobile stations including Ken VK3ALA (5/8 both ways), Mike VK5FVSV mobile at Second Valley (5/7 sent and 5/9 received), and Rex VK3OF (5/4 sent and 5/6 received). Local propagation around VK5 was very good, as was propagation to Victoria and New South Wales and Tasmania. Signals to and from Queensland on 40m were not as strong. Despite it being early in the morning, I had no VK6 callers. After an hour and twenty minutes I had a total of 44 contacts in the log. Contact number 44 was Jim VK1AT. I went on to work a total of 54 stations on 40m. My last caller being Stuart VK5STU who was out portable as well, activating the Hale Conservation Park, VKFF-0889, in the Adelaide Hills (5/9 both ways). I then went up to 20m and called CQ on 14.310. This was almost immediately answered by Gary VK8BN in Darwin, some 3,000 km to my north. Gary had a good strong 5/8 signal to Billiatt and I was 5/5 in the Northern Territory. This was followed by a contact with park die hard, Rick VK4HF, who also signed as VK4HA (5/9 both ways). It was time to pack up and head off to Renmark. I was very pleased as I had a new VKFF park under my belt with a total of 57 contacts in the log. After activating the park we headed for Renmark, travelling north on the Karoonda Highway and into Loxton. It was here that we stopped for some lunch. After lunch we travelled to Renmark and booked into our accomodation, the Comfort Inn, which we can highly recommend. We then headed to the Renmark Hospital and caught up with our good friends Larry VK5LY and his wife Di. Sadly Larry is gravely ill. Ivan VK5HS also made a visit. Although it was not ideal circumstances, it was fantastic to catch up with Larry. That night, Marija and I went out for tea with Di, and Ivan and his wife Sheryl, to Ashley’s Restaurant at our Motel. A great night and excellent food. CFS, 2015, <http://www.cfs.sa.gov.au/site/about/history/bushfire_history.jsp&gt;, viwed 21st November 2015. Department of Environment and Natural Resources, October 2011, Reserves of the Billiatt District Supplementary Document to Management Plan 2011. Wikipedia, 2015, <https://en.wikipedia.org/wiki/Malleefowl&gt;, viewed 21st November 2015. When I got home from my trip to VK3, I had a significant number of emails to go through. One of those that I was pleasantly surprised to find, was from Keith VK2PKT. Keith has become a very avid park hunter and called me regularly whilst I was away. Keith was kind enough to have designed a certificate of appreciation for my recent trip. Many thanks Keith. Greatly appreciated. I returned home today after our 2 weeks away up in the Riverland, the South East of South Australia, along the Great Ocean Road in Victoria, and finally the Pyrenees Range area in western Victoria. I would like to thank everyone who called. Band conditions fluctuated dramatically with very good conditions during some activations, to very poor during others. Also many thanks to those that took the time to spot me, either on parksnpeaks, the DX cluster, Facebook. It certainly helps fill up the log. I will post some more info & photos for each of the activations in the coming weeks. 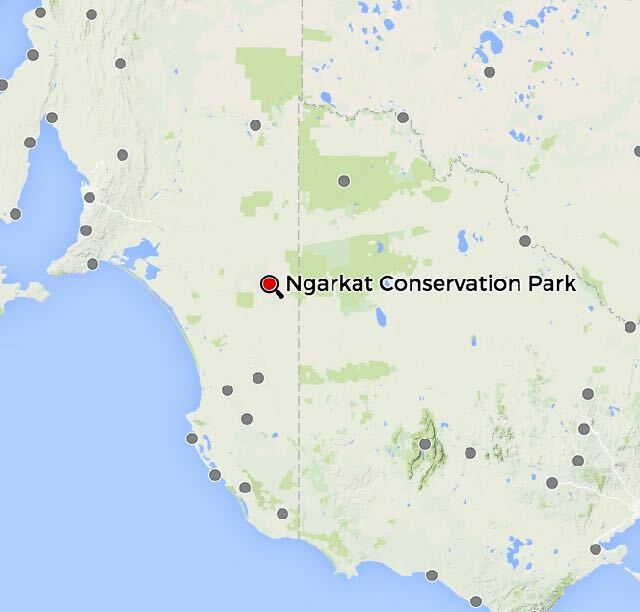 Whilst I was in Hattah Kulkyne National Park in Victoria, I had toyed with the idea of activating the Ngarkat Conservation Park, VKFF-0829, in South Australia, after I had crossed the border. I still had a fair drive ahead of me to get home, but I had worked out that I had enough time for a quick stop at Ngarkat. 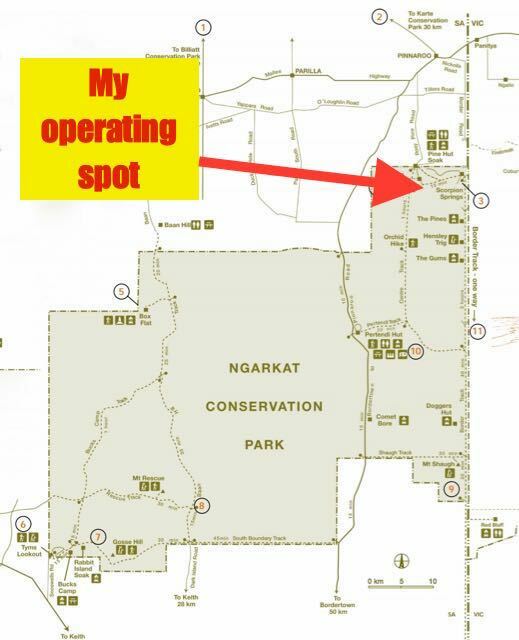 I had activated Ngarkat previously, but as part of the VK5 National and Conservation Parks Award, and not the World Wide Flora Fauna (WWFF) program. So this was to be another unique WWFF/VKFF activation for me. So after leaving Hattah Kulyne National Park I drove west along the Hattah Kulkyne-Robinvale road until I reached the Calder Highway and the little town of Hattah. Don’t blink, because you will miss it. There was once a post office here but it closed in 1974. Today there is a General Store, and that is it. I then travelled south to Ouyen where I stopped briefly for a bite to eat at the Mallee Deli, consisting of a very enjoyable steak sandwich with the lot. I then drove west on the Mallee Highway, back through the towns of Walpeup, Torrita, Underbool. Linga, Boinka, Cowangie, Murrayville, and Carina, until I reached the Victorian/South Australian border. Along the way I spoke with Rob VK4AAC/5 who was operating portable from the Padthaway Conservation Park, VKFF-0924. Rob had a nice signal coming into the mobile from the South East of South Australia. I continued west on the Mallee Highway, towards the town of Pinnaroo, until I reached the Rosy Pine Road. 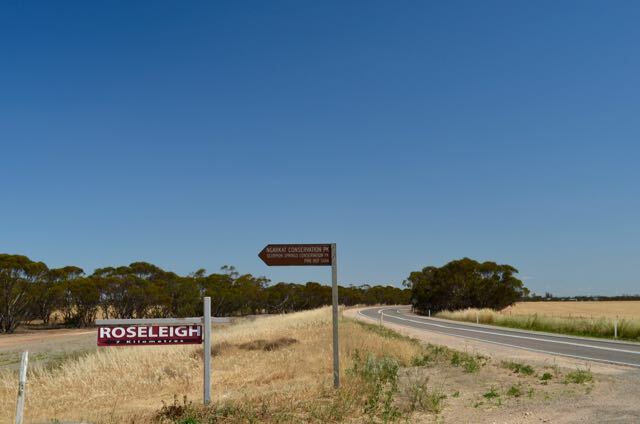 There is a sign here which shows Ngarkat Conservation Park and another sign for Roseleigh Homestead. Interestingly, the sign also refers to Scorpion Springs Conservation Park which no longer exists. It was absorbed into the Ngarkat Conservation Park back in 2004. Clearly the sign has never been replaced. I stopped off briefly to have a look at the site of the old Rosy Pine school. 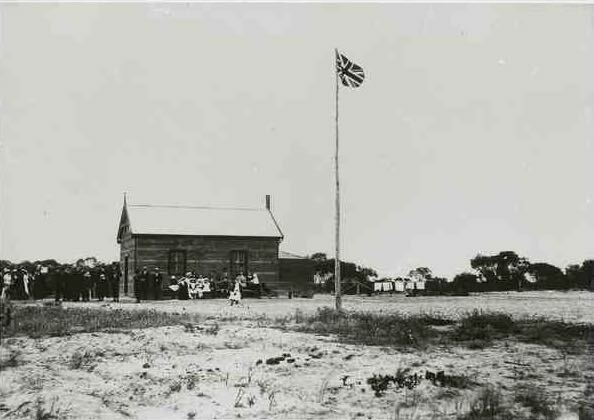 The school, along with a number of other outlying schools from the town of Pinnaroo, closed in 1943. Students from these outlying areas were then required to travel to Pinnaroo by bus. Today there is nothing left of the school. But a memorial plaque signifies its previous existence. Above:- The Rosy Pine school, c. 1916. Image courtesy of State Library SA. I continued on towards the park along Rosy Pine Road, which then becomes Centre Track, and on the way I spoke with Peter VK3PF who was portable on SOTA peak, Jarvis Creek Plateau VK3/ VE-208, which is contained within the Jarvis Creek Plateau Region Park VKFF-0969 (5/6 sent and 5/7 received). I continued south until I reached the Scorpion Boundary Track where there is an unlocked gate. I entered the northern side of the park, and paid my $10.00 entry fee, before proceeding into the Scorpion Springs camping area. Ngarkat Conservation Park is a very large park and is located about 200 km south east of Adelaide. It covers an area of around 270,000 hectares of vegetated sand dunes, mallee and heath. Ngarkat was proclaimed in September 1979 to conserve the mallee heath habitat of the 90 Mile Desert. The park was previously four separate sections: Ngarkat Conservation Park, Mount Rescue Conservation Park, Mount Shaugh Conservation Park, and Scorpion Springs Conservation Park, but these were all absorbed into the one park in May 2004. On many maps, including Google maps, it incorrectly shows the former conservation parks. Unfortunately, many of the tourism sites also refer to the former three Conservation Parks. The park is adjacent to the Big Desert Wildnerness Park and Wyperfeld National Park in Victoria. This is a vast area of remote mallee wilderness in South Australia and western Victoria. The name Ngarkat (pronounced Narr-kat) takes its name from the Ngarkat aboriginal people who were the original inhabitants of the area. The Ngarkat Conservation Park is alive with wildlife including Western Grey kangaroos, Little Pygmy Possum, Short-beaked echidnas, Mitchell’s Hopping mouse, and Common dunnarts. More than 120 species of birds can be found in the park including the rare Malleefowl and the Western Whipbird. Above:- The rare Malleefowl. Image courtesy of wikipedia. It was a very warm afternoon, so the first thing I did was to seek out some shade. I set up my gear, the Yaesu FT-857d and the 40m/20m linked dipole in the campground. There was a wooden table and benches under the shade of a gum tree so I took advantage of that. I attached the 7 metre squid pole to a post on a fenceline, with the assistance of an octopus strap. Unfortunately there was absolutely no mobile phone coverage out here so I couldn’t send out an SMS message or spot myself on parksnpeaks. Prior to calling CQ, I hunted around for Peter VK3PF and found him calling CQ on 7.090. After securing Peter in the log, I headed to 7.085 and started calling CQ. This was answered by John VK2YW in Wagga Wagga with a strong 5/9 signal. Half way through my QSO with John the radio cut out. Bugger! I have been having an intermittent problem with the connection between the power supply and the transceiver. But fortunately that was sorted out quickly and I was back on air. This was followed by calls from Mike VK3ZMD in Melbourne, Adrian VK5FANA on the Yorke Peninsula, and then Mick VK3PMG in western Victoria, all with 5/9 signals. My 16th contact in the park was with Rob VK4AAC/5 in the Padthaway Conservation Park, VKFF-0924. Rob called me, so it saved me having to hunt him down. I worked a total of 34 contacts on 40m in VK2, VK3, and VK5, before trying 20m. Conditions on 40m were quite good, however with all the storms across Australia, the band was very noisy with strong static crashes. I called CQ on 14.315 and this was answered by Rick VK4RF with a powerful 5/9 signal. Rick had tried calling me earlier on 40m but we just couldn’t make it. My first DX station was Xaver DK4RM in Germany. This was followed by Gerard F1BLL in France, and then Mauro IZ7EIU in Italy. Conditions into Europe on the long path were less than favourable, and after 20 minutes, I had worked a total of 12 stations on 20m in VK2, VK4, VK8, Germany, France, Italy, Russia, Australia, and Greece. After 90 minutes in Ngarkat I had a total of 46 contacts in the log and it was time to hit the road. As I exited the park it was slow going as there were sheep on the road, and many kangaroos. Once mobile back on the Mallee Highway I booked in to the Kandos Net on 40m which was being run by Tom VK2KF. I then spoke with Doug VK7DK who had a very nice signal coming in to the mobile. Department for Environment and Heritage, 2004, ‘Ngarkat Complex of Conservation Parks Management Plan’. On Monday morning (26th October 2015) I left the Balranald Caravan Park and commenced my 500 km drive back home to the Adelaide Hills. Along the way I planned to activate the Hattah Kulkyne National Park, VKFF-0231, in Victoria, which is about a 150 km drive south west from Balranald. This was to be another new park for me, and I was hopeful to get my 44 contacts to qualify the park for the World Wide Flora Fauna (WWFF) program. I headed out west along the Sturt Highway and then turned left onto the Murray Valley Highway. As it was early in the morning, it was relatively slow going as there were a lot of kangaroos and emus out and about. There is not much to see along this stretch of the road. I did stop briefly to have a look at Lake Benanee. I then stopped briefly at Robinvale, just over the Murray River, which forms the border between the States of Victoria and New South Wales. I was hoping to catch up with Claude VK3FCAS who was staying at the caravan park. But I didn’t have Claude’s number and the park was absolutely brimming with vans, so unfortunately it was not to be. After leaving Robinvale I travelled south on the Robinvale-Sea Lake Road, passing all the irrigation district where grapes, olives, carrots, and almonds are grown. I then turned right onto the Hattah-Robinvale Road and travelled west. I stopped briefly at a little place called Wemen to view the mighty River Murray just upstream from the Hattah Kulkyne National Park. I accessed the park from a dirt track near Lake Kramen. Unfortunately the track was marked with no vehicular access so I could not get all the way down to the lake. So I was forced to activate from a less scenic part of the park, close to the Hattah-Robinvale Road. There had been quite a bit of rain overnight, and it was still cloudy. However, when the sun came out from behind the clouds it certainly had some bite, so I tried to find a bit of shade. 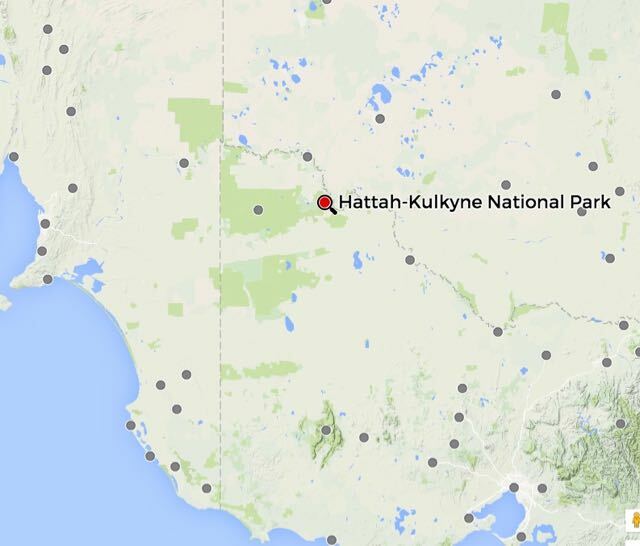 Hattah Kulyne National Park is 48,000 hectares in size and was established in June 1960. The park lies in typical mallee country in Victoria and contains extensive low scrub and open native pine woodland. River Red Gums are found alongside the lakes, the Murray River and adjoining creeks. Animals, birds, and plants located in the park have adapted to survive in the poor, sandy soils and the searing hot summers. The park contains Hattah Lakes which are seasonally filled by creeks connected to the Murray River. A large amount of birdlife can be found in the park, ranging from wetland species including Pelicans, various species of ducks, Great Egret, Spoonbills, to mallee species such as Malleefowl, Emu Wrens, and Emus. In fact a total of 200 species of birds have been recorded in the park. Many native animals also call the park home including Red Kangaroos, Western Grey kangaroos and Eastern Grey kangaroos. This area has a rich aboriginal history. Within the park you can find scars on trees where shields and canoes were made, and also middens which are heaps of shells discarded after meals eaten over many generations. Above:- Map showing my operating spot. It was only 2200 UTC (8.00 a.m. Victorian local time) and the 40m band was wide open to Europe, with the CQ World Wide contest still in full swing, so it was quite hard to find a clear spot on the band. I started calling CQ on 7.143 and it wasn’t long before John VK5BJE gave me a shout with a good strong 5/8 signal from the Adelaide Hills. This was followed by Warren VK3BYD, Gerard VK2IO, and then Ian VK5CZ/2 who was mobile 30km from Coonabarabran in New South Wales. Things were quite slow on the band, but I managed 10 contacts in 20 minutes, to qualify the park for the VKFF program. Many thanks to those that took the time to spot me on parksnpeaks. The European contesters had also moved in right alongside of me, so I took the opportunity of having a listen on 20m. I called CQ on 14.312, but it wasn’t long before I was competing with Europeans calling CQ contest. So I moved up to 14.315 and called CQ again, and this was answered by Carl ZL3CX in Auckland (5/7 both ways). After my contact with Carl, park devotee Rick VK4HA then gave me a shout with a solid 5/9 signal. This was followed by Rob VK4LS near Bribie Island in Queensland. Unfortunately during our chat, a station from the USA came up and started calling CQ contest. I then moved back to 7.143 with a total of 14 contacts in the log at that stage. I still had a long way to go before reaching the required 44 contacts to qualify the park for the global WWFF program. My first contact after returning to 40m was with Adrian VK5FANA on the Yorke Peninsula with a very strong 5/9 signal. Rick VK4RF then called in on 40m. Not as strong as 20m, but still a very respectable 5/7. It was about this time that the noise floor on the band rose up to a strength 6. I wasn’t really sure where the noise was coming from. There was nothing around me, except for power lines, but they were a good 1 km away. But I perservered and still managed to copy all the stations calling, including Mike VK6MB, some 2,900 km away in Western Australia (5/5 sent and 4/3 received). I pushed on and continued to work the callers, and much to my pleasure, the noise on the band disappeared after about 15-20 minutes. Contact number 25 was with Frank VK2BFC who said he would advise all the guys on Ron VK3MRH’s Net on 7.085 that I was in the park and in need for further contacts. And it worked, as it wasn’t long, before I had a steady flow of callsigns that I recognised as being regulars on Ron’s net, including Dennis VK2HHA, Dik VK7DIK, Mike VK3ZMD, Tony VK5FTVR, and even Ron VK3MRH himself. Many thanks Frank. This certainly helped to boost the numbers. It wasn’t long before I had reached the magical figure of 44. Contact number 44 was Ron VK3VBI. About 10 contacts later I was called by Peter VK3PF who was activating SOTA peak, Mount Bolga VK3/ VE-175 which is contained within the Mount Granya State Park, VKFF-0767. This was followed by a call from Kerry VK2GQR, operating from the Mutawintji National Park north east of Broken Hill. My last contact at Hattah Kulyne was with Rob VK4AAC/5 who was mobile on his way to activate the Padthaway Conservation Park. At the end of my activation I went for a walk along the track leading down to Lake Kramen which was full of water. In previous years it has been bare. After around 3 hours in the park I had a total of 67 contacts in the log. Thanks to everyone who called in. The activation started off quite slowly, so I was very very pleased to reach the 44 QSO threshold. Parks Victoria, 2015, <http://parkweb.vic.gov.au/explore/parks/hattah-kulkyne-national-park&gt;, viewed 5th November 2015.